What is I Am The Change (IATC)? IATC is an event for the whole family. It is an initiative focused on empowering those within the faith community. The purpose is to provide the faith community with tools to defend against human trafficking, prevent youth from being victimized by traffickers, and give them the childhood that they deserve - a childhood that is free from the chains of human trafficking. For each event, we kindly ask for a love offering. There are no extra costs involved. To schedule an event please fill out the event request form. Click here to schedule an event today. I Am The Change is available all year round. You can request an event at any time during the year by filling out the event request form. The event can take place at your church or the location of your choosing. 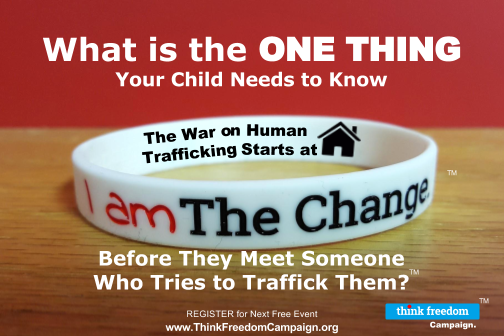 Separate the Myths from the Facts about Human Trafficking in the U.S.
Find Out What You can do to Keep Your Family Safe.